Kansas guard Malik Newman (14) gets a shot off as he is fouled by Kansas State forward Makol Mawien (14) during the second half, Monday, Jan. 29, 2018 at Bramlage Coliseum in Manhattan, Kan. At left is Kansas State guard Mike McGuirl (00). 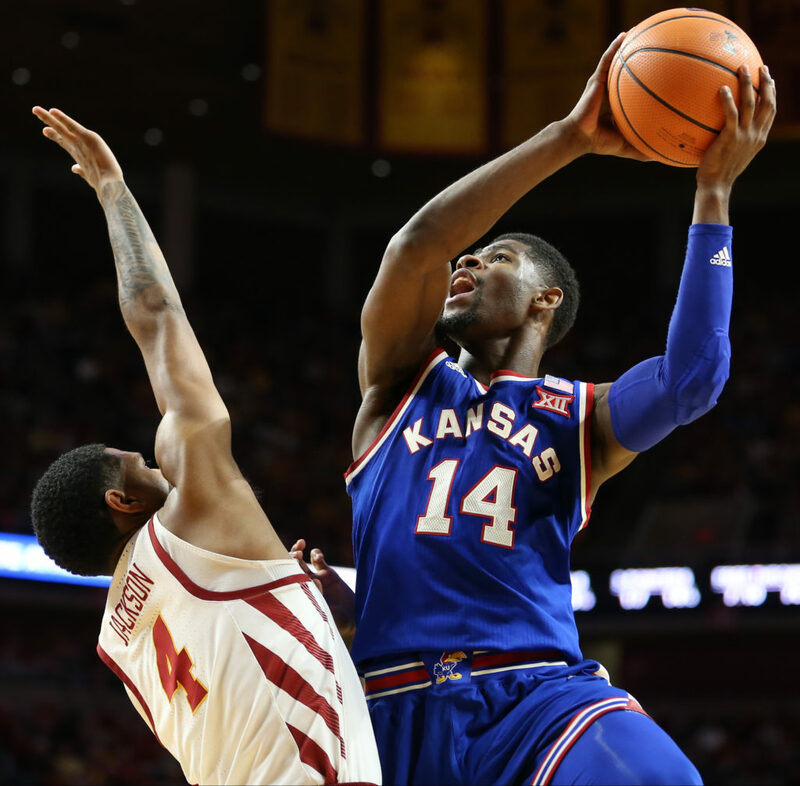 Less than two weeks ago Kansas basketball coach Bill Self, while discussing a recent uptick in Malik Newman’s play, stated how proud he was of the starting guard’s progress. The sophomore transfer from Mississippi State was coming off one of his best offensive showings as a Jayhawk, going for 20 points and 5 assists in a rout of Oklahoma. It was Newman’s third time posting at least 20 points and ninth time in double figures over a stretch of 10 games. Even more encouraging, the 6-foot-3 guard from Jackson, Miss., looked better handling the ball. Newman had shown he could be more than a spot-up 3-point shooter by driving to the paint to either draw contact, score or set up teammates. In a five-game span that concluded with the OU game on Feb. 19, Newman averaged 4.2 assists and 0.6 turnovers — far better than his current season averages of 2.1 assists and 1.5 turnovers. 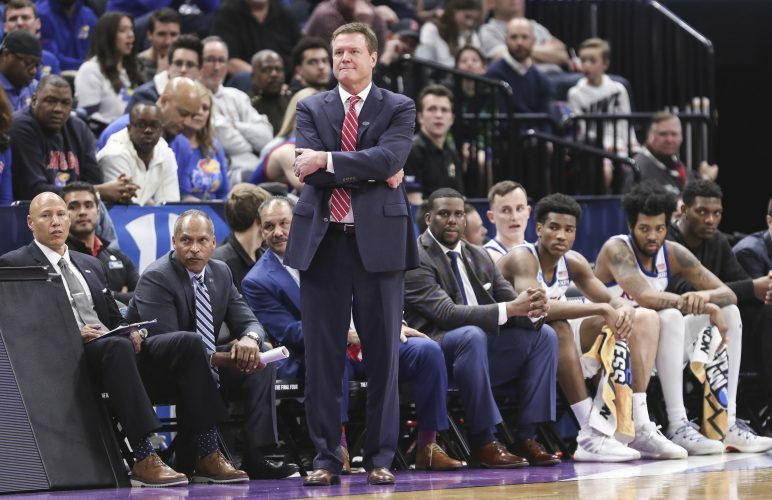 While Self appreciates the headway Newman has made to become a more complete player than what he showed back in the non-conference portion of the schedule and Self is happy the shooting guard won the Big 12’s Newcomer of the Year award, KU’s coach is hoping for a Newman resurgence with the postseason’s arrival. 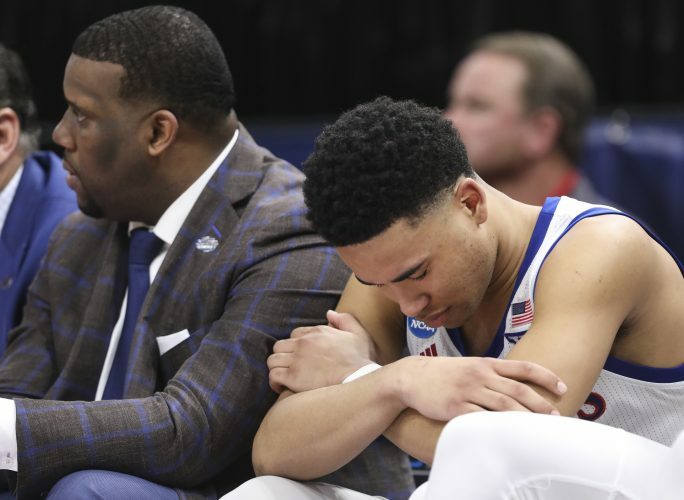 In the Jayhawks’ final three games of the regular season, Newman, who is supposed to complement Big 12 Player of the Year Devonte’ Graham in the backcourt, didn’t always deliver on his potential, and his numbers began trending in the wrong direction. At Texas Tech, Newman was solid, with 12 points and 5 defensive rebounds, but he made just 1 assist (in the first half) — his lowest ball distribution total in three weeks — and committed 1 turnover. 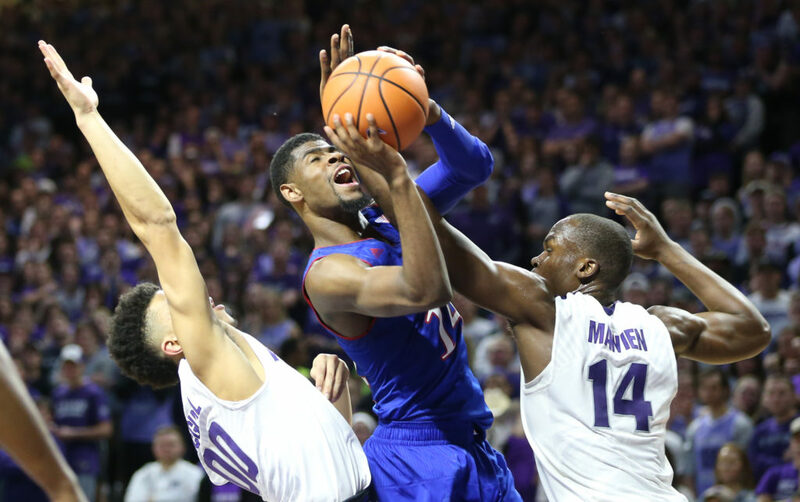 Against Texas in KU’s home finale, Newman provided 9 points, 4 defensive boards and 1 assist, with 1 turnover. 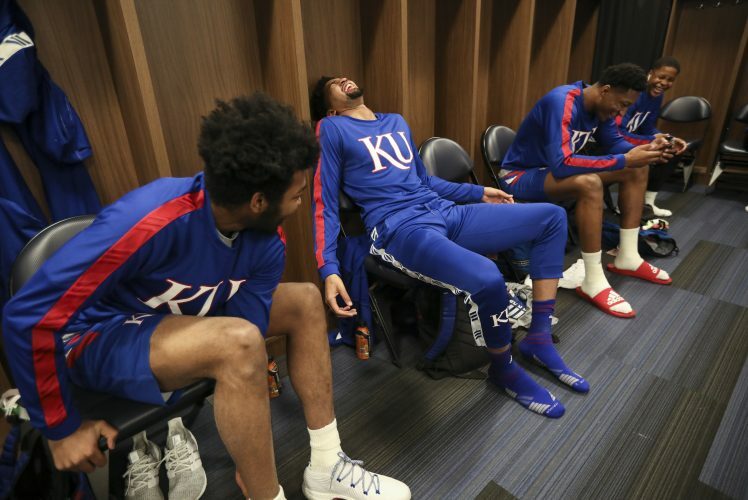 He bottomed out in the Jayhawks’ loss at Oklahoma State, with 7 points, 3 defensive rebounds, 0 assists and 3 cough-ups. After averaging 4.2 free-throw attempts a game in the previous 12 contests, Newman didn’t get to the foul line once in his final two games of the regular season. Newman needs to revive the versatility that made him so valuable in late January and most of February now that it’s March. 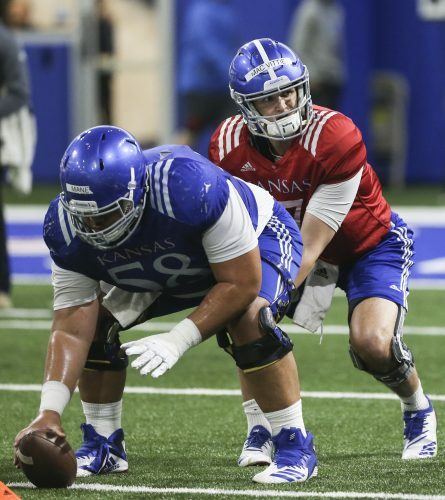 Newman has stated a number of times how important it is for he and other Jayhawks to help take some of the burden off Graham’s shoulders. If Newman wants to make that happen on a regular basis in the weeks ahead, he can just recall some of Graham’s advice. The senior point guard said when Newman was at his best recently it was all about taking an assertive approach on offense and trying to reach the paint off the bounce. Just more than half of Newman’s shot attempts this season have come from behind the arc. A 36.9% 3-point shooter on the year (37.5% in Big 12 action), spotting up isn’t always Newman’s best play. When he is more diverse with the ball in his hands, it tends to benefit both him and his teammates. Plus, Self wants Newman contributing in less trackable manners. As you might expect, those areas where the coach would like to see more consistency directly tie to relieving Graham of some of his duties. 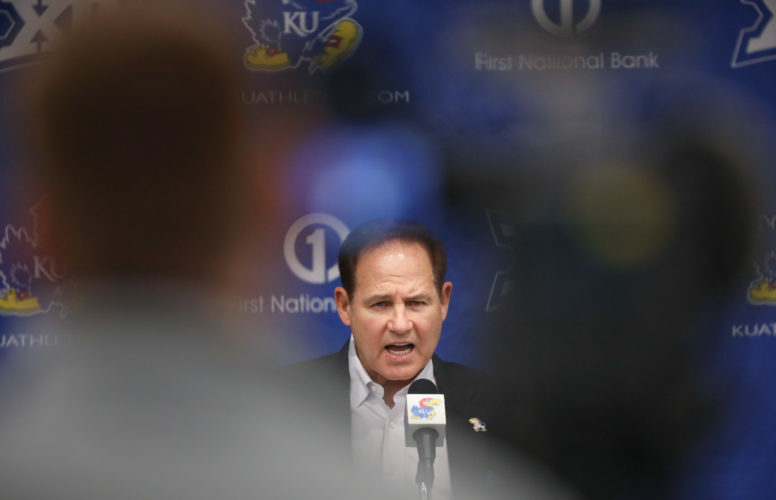 KU’s 15th-year coach finds himself examining what Newman does on a game-by-game basis to help Graham. 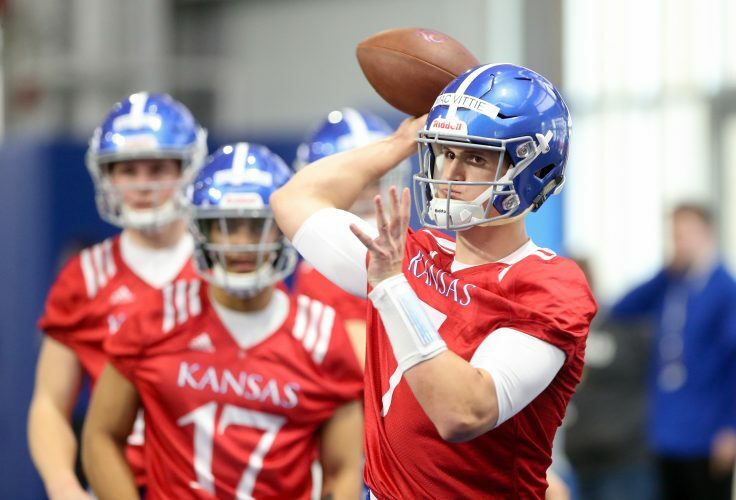 Newman’s first crack at a late-season renaissance comes Thursday in Kansas City, Mo., when the top-seeded Jayhawks face either Oklahoma or Oklahoma State.